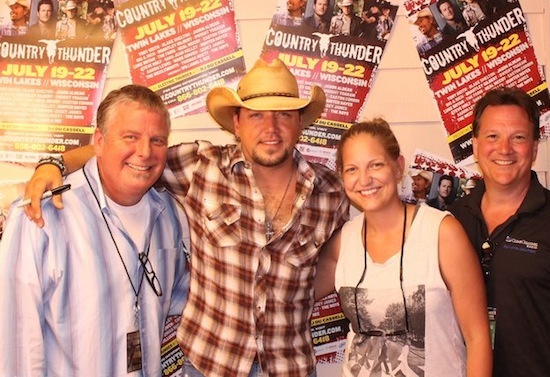 Jason Aldean recently played at the Country Thunder Festival in Twin Lakes, WI and visited with some friends from WMAD/Madison, WI. Aldean’s new single “Take A Little Ride” from his upcoming album is already at No. 32 on MusicRow’s CountryBreakout Chart. Warner Music Nashville’s July 26 “Pickin’ On The Patio” event featured Big Smo. 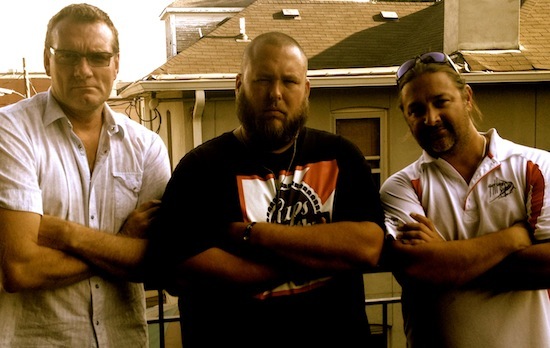 (L-R): Warner Music Nashville Sr. VP Brand Management and Sales Peter Strickland, WMN artist Big Smo and WMN Sr. VP of Promotion Chris Stacey.